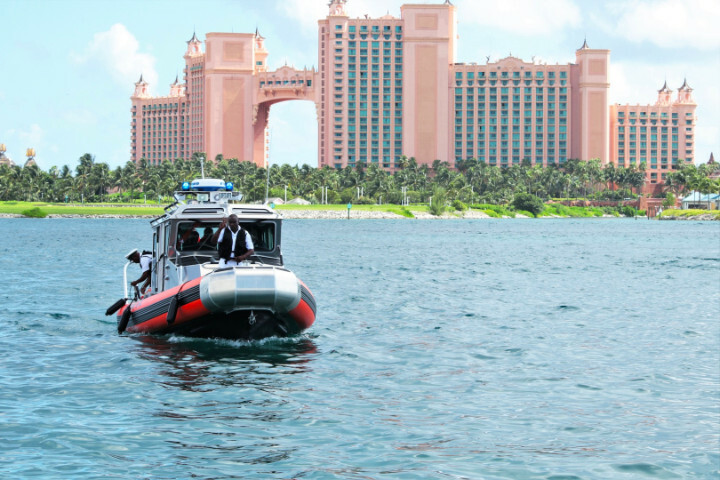 NASSAU, The Bahamas – During the Official Handover Ceremony of a SAFE 25 Full Cabin Response Boat and Accessories, on August 14, 2018, Minister of National Security the Hon. Marvin Dames expressed gratitude in behalf of the Government and the people of The Bahamas to the US Embassy, which, he stated, yet again demonstrates the two countries' diplomatic and close relations “over these many years”. 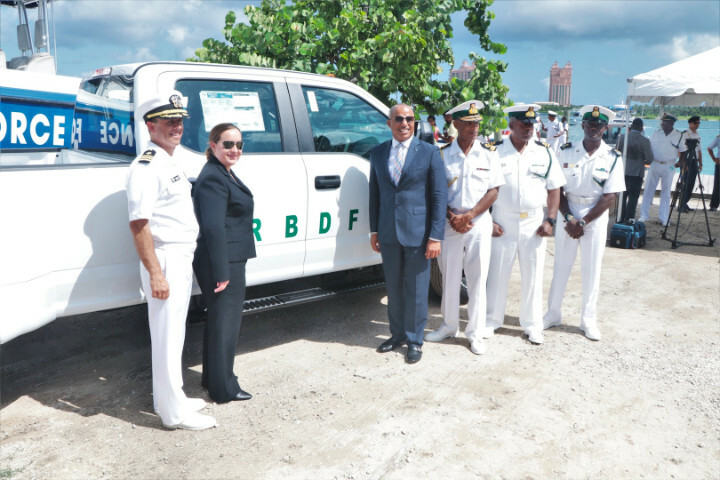 “Today’s handover ceremony marks a significant milestone in the bilateral relationship between our two countries,” Minister Dames said, during the event held at the Royal Bahamas Defence Force (RBDF) Harbour Patrol Unit on East Bay Street. “The provision of this SAFE Full Cabin Response Boat and accessories – through the US Foreign Military Funding programme – represents the continued investment in the security partnership between the United States of America and the dedicated representatives at the Office of Defense Cooperation at the US Embassy Nassau Country Office, and The Bahamas. Among those present at the event included Chargé d’Affaires of the United States Embassy Stephanie Bowers; Commander of the Royal Bahamas Defence Force Commodore Tellis Bethel; RBDF Captain Clyde Sawyer, Principal Officer, Administration; RBDF Chaplin Rev. Prince Bodie; RBDF Commanding Officer, Harbour Patrol, Senior Lieutenant Andrew Bowe, and a number of RBDF and US military officers. Minister Dames noted that the handover package – valued at over $1 million – included a SAFE 25 Full Cabin Response Boat, capable of speeds of over 40 knots and crew and passenger capacity of up to 10 persons; a 2018 Ford F-350 extended cab truck with boat trailer for launching and retrieving; and boat spares and safety equipment for up to two years of operation. He pointed out that, with over six million visitors to our shores annually, mostly arriving by cruise ships that berth at Nassau Harbour, it is critical that the Harbour Patrol Unit (HPU) – a first responder at the Harbour – be equipped to respond to any and all incidents. 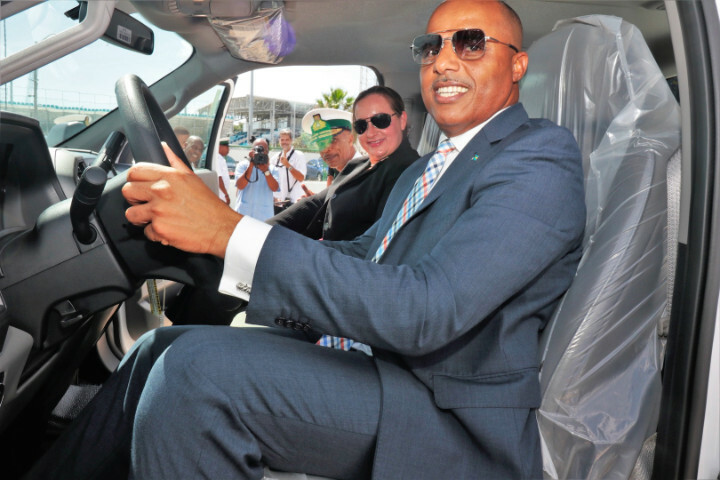 Toward this end, Minister Dames said, the HPU collaborates with the Port Department, Bahamas Customs and Immigration Departments, Ministry of Tourism, and the Defence Force’s Port Security Unit in an effort to optimally perform their duties. 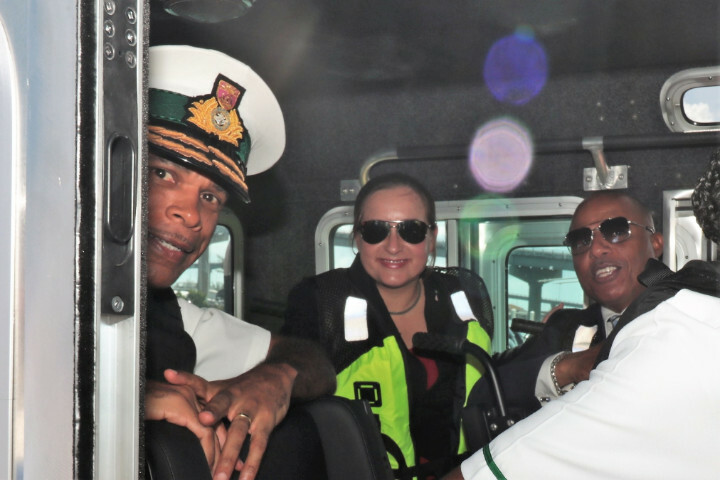 Minister Dames added that the Response Boat and its accompanying accessories were, therefore, a welcomed addition to the Harbour Patrol Unit. He added that the Commander of the Defence Force had advised that the SAFE Boat will be used for the continued execution of maritime operations in the Nassau Harbour area including anti-terrorist activity; cruise ship waterside security; maritime patrol and search and rescue operations.